Car DVD Player Holder, Portable RevoLity 7-10.5 Inch Car DVD Headrest Mount Holder Strap Case Color Black (10-10.5 Inch) by RevoLity at Buy Car Now. MPN: XUS006TZB-10 r. Hurry! Limited time offer. Offer valid only while supplies last. Description: Brand: RevoLity Color: Black Details: As the picture show Feature: Fits most 7-10.5 inch Swivel & Flip style Portable DVD Players. 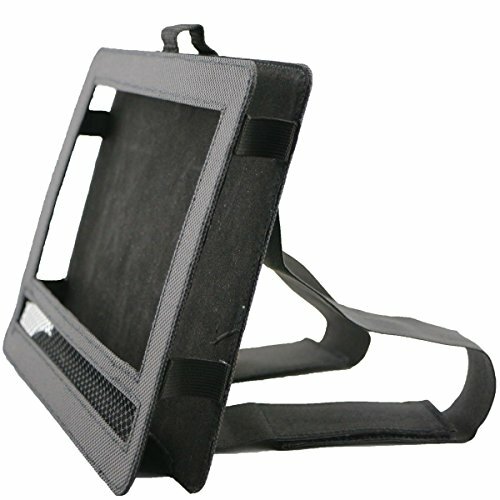 Fits most 7-10.5 inch Swivel & Flip style Portable DVD Players. Adjustable straps allow for easy, quick and secure mounting to most cars' headrests. Made off durable nylon - Resists wear and stains. Side access to ports and connections. Makes you to enjoy music or movies in your car comfortably. We will be always here to provide help, Any questions please contact us ASAP. If you have any questions about this product by RevoLity, contact us by completing and submitting the form below. If you are looking for a specif part number, please include it with your message.